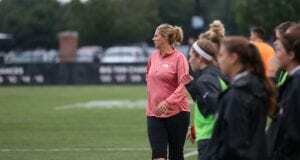 Home » Sports » Brigham Young blasts OSU women’s soccer, 3-0. Brigham Young blasts OSU women’s soccer, 3-0. In a matchup against No. 7 Brigham Young University, the No. 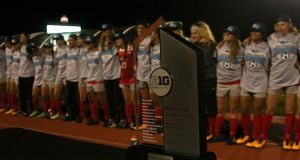 19 Ohio State women’s soccer team was unable to put one in the net and found themselves on the wrong end of a 3-0 final score. The Buckeyes had opened up the season at 6-1, their best start since 2007. But after the loss, their record fell to 6-2. The game was scoreless until BYU’s senior forward Michele Vasconcelos scored in the seventh minute of the game to stake BYU ahead to an early 1-0 lead. The game remained that way until the second half, when in the 55th-minute, junior forward Nadia Gomes ran ahead on a breakaway down the left side and was able to put the ball just inside the right goal post to bring the score to 2-0. Six minutes later, senior forward Ashley Hatch received the ball, assisted by Gomes and Vasconcelos, and kicked the final goal of the game past redshirt senior goalkeeper Jillian McVicker. It was Hatch’s ninth goal on the season and it tied her for first in goals among NCAA women’s soccer players. 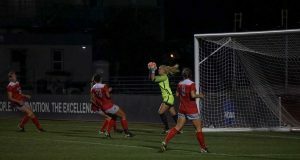 The game got interesting in the 49th-minute when the Buckeyes’ leading goal scorer, senior forward Lindsay Agnew, stepped up to kick a penalty shot. But like every other shot on goal, it was saved by junior goalie Hannah Clark. Despite the loss, OSU coach Lori Walker drew some positive conclusions on her team’s performance against a high quality opponent. McVicker agreed with Walker, stating that this game was one of the best games the team has played this year. Statistically, the Buckeyes played a much closer game than the 3-0 score would indicate. The Scarlet and Gray outshot the Cougars 13-9, including a 7-5 advantage in shots on goal. The Buckeyes also displayed more discipline during the game, drawing only four fouls compared to BYU’s seven. Each team shot a pair of corner kicks. 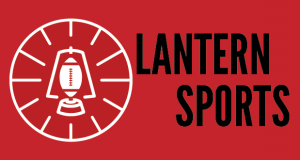 Looking ahead to the start of Big Ten play, Walker believes that the most important thing for her team to do is rest up in preparation for the games ahead. 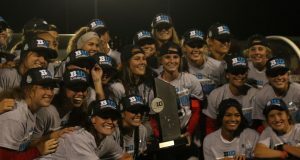 The next game for the Buckeyes will be on Friday in Madison, Wisconsin when they take on the Wisconsin Badgers.